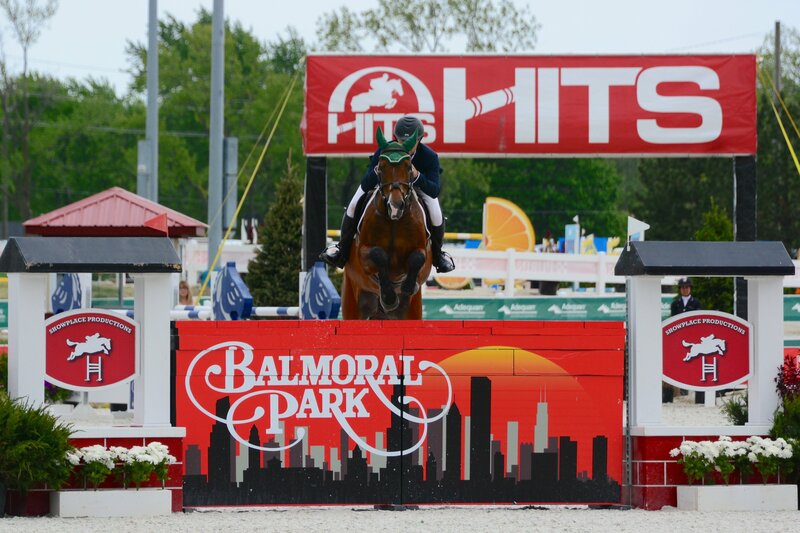 Steve Schaefer rode Caribe to the win in the $10,000 Open Jumper Welcome Stake at HITS Balmoral Park. Photo Chicago Equestrian. 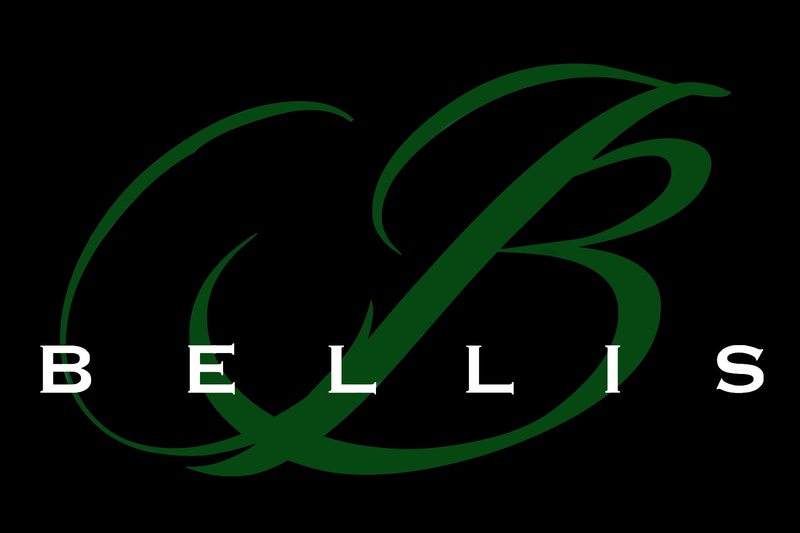 Maple Park, IL – June 3, 2017 – Bellis Show Jumping has a strategy for their training program that works year after year, leading to success in the show ring. 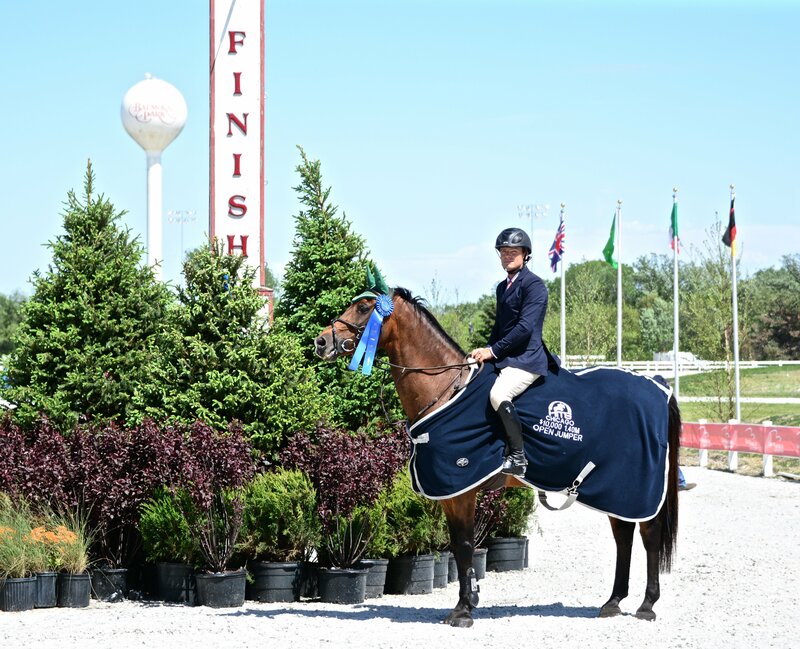 After a winter of new mileage for riders, the spring season is showing the benefits of hard work during the winter months as trainer Steve Schaefer began showing in May at the new HITS Balmoral Park in the greater Chicago area. Schaefer is well known for his competitive spirit and speedy jump off skills, which he demonstrated in the $10,000 Open Jumper Welcome Stake during the Showplace Spring Classic series. Schaefer and his mount, Caribe, won the class week two and finished in second during week one. Always trying to move up in the ranks, Schaefer finished in third place in the first ever grand prix at Balmoral Park on week one and did one better, taking second place in week two. Schaefer is big on keeping his horses fresh minded. His farm in Maple Park has a big field and plenty of hills to change it up for the horses versus only riding in a ring. They also fox hunt and trail ride on occasion to keep the horses from getting bored. Schaefer likes to use the natural terrain to train both horses and riders, rather than just jump after jump on a flat surface. He teaches riders balance and how to balance the horse while riding up and down hills. 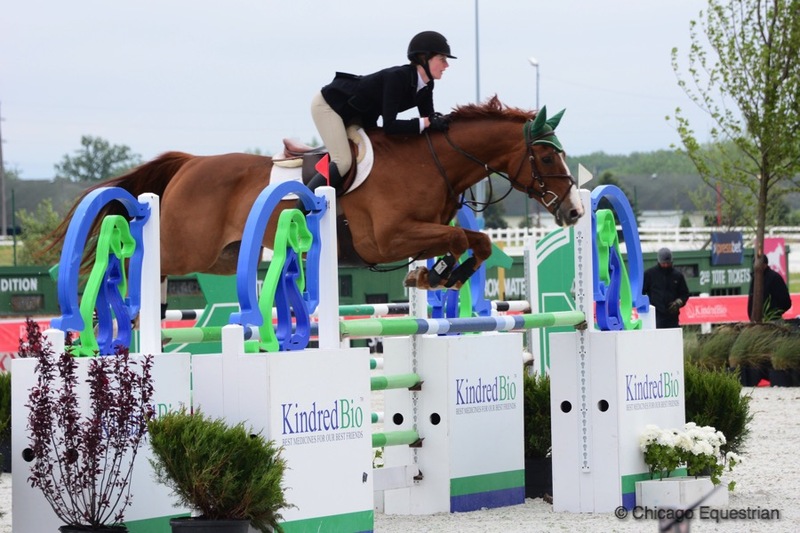 Rider Caelinn Leahy, 15, competed in the 1.30m jumpers last year and spent the winter moving up to the next junior jumper division. She won a Medium Junior Jumper class at the Winter Equestrian Festival (WEF) on Tzartgazer and has been working on building the skills needed to jump higher fence heights in a sport where mileage is key. Caelinn Leahy and Splendor won the $10,000 1.35m Jumper Classic. Photo Chicago Equestrian. Leahy came out swinging this spring, winning the $10,000 1.35m Jumper Classic on her mount, Splendor, and taking third place on Sonas Douglas during week two of the Showplace Spring series. She also placed second in the popular $10,000 Marshall & Sterling 1.30m Jumper Classic with Splendor. Heidi Schaefer and Caladesi won the $1,500 NAL Child/Adult Jumper Classic at the Showplace Spring Classic. Photo Andrew Ryback Photography. 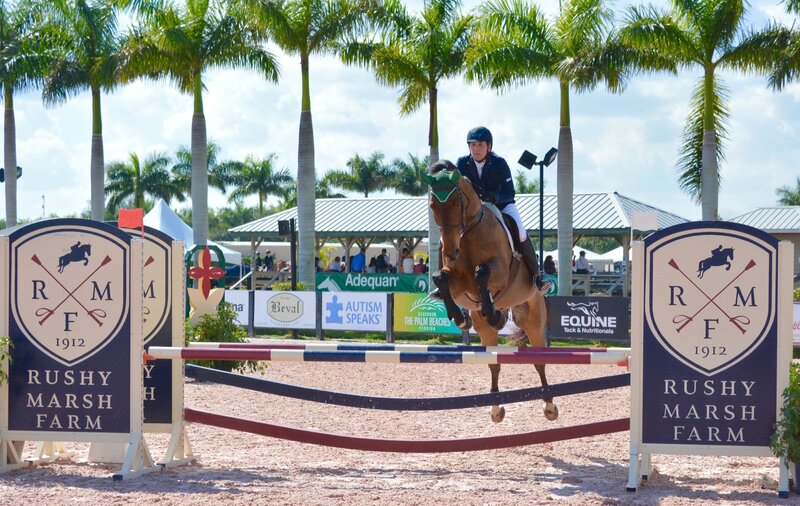 Leahy’s mother, Heidi Schaefer, rode Sonas Douglas during the winter at WEF and earned herself the Championship in the Adult Jumpers during week two after taking the top spot in the Adult Jumper Classic. 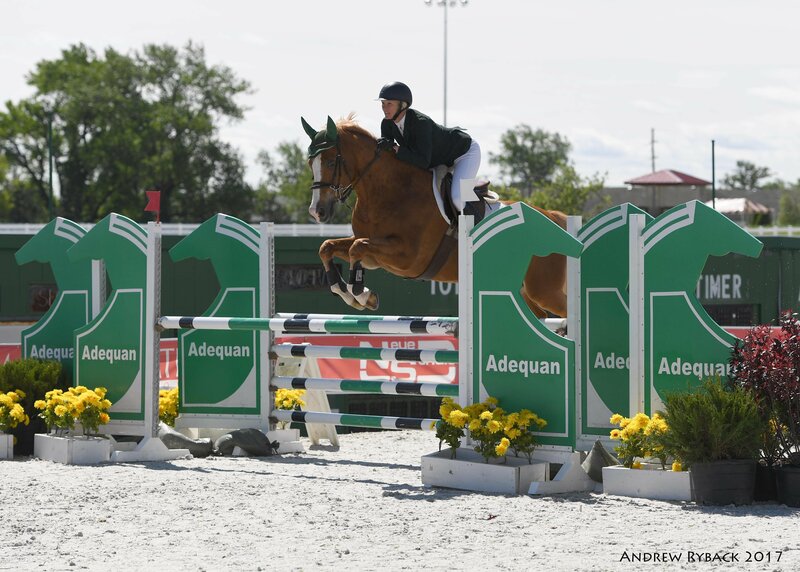 She handed the reins over to Leahy during the spring shows and rode Caladesi instead, winning the $1,500 NAL Child/Adult Jumper Classic during week three. Young rider Lindsay Scianna, was just on a pony last year moving up to horses. 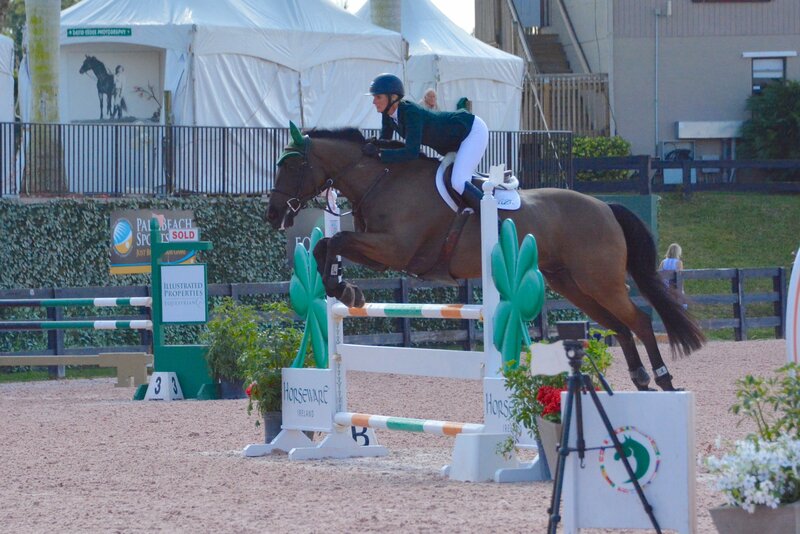 This winter she gained her show mileage riding horses during WEF. At the Showplace Spring show, Scianna won the Puddle Jumper Classic during week two on Fahris, getting experience in the jumper ring. She is another example of how Schaefer skillfully moves riders up the ladder as they are ready. Schaefer also provides riders with a variety of experiences, like riders Holly and Matt Yeterian. 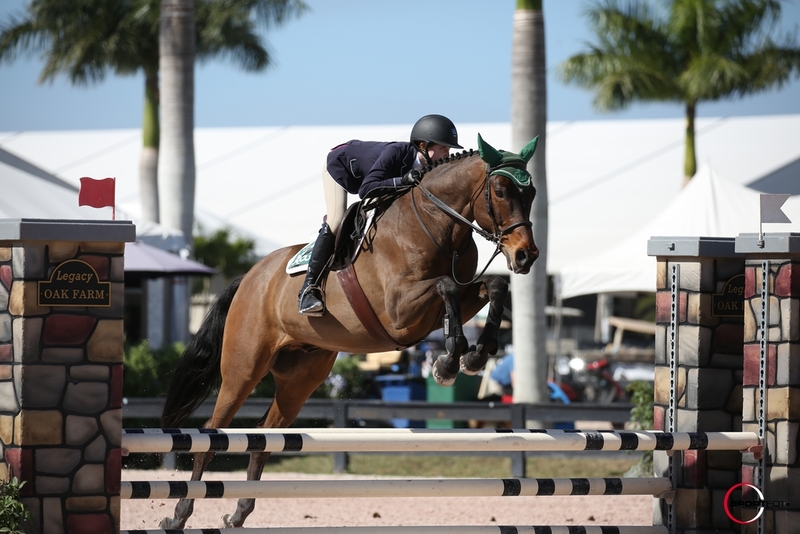 Holly rode the hunter, Color Pearlz, during WEF to win the Amateur Owner Under Saddle and also rode their jumper, Zanzsiboy, to a second place finish in the Low Adult Jumper Classic at WEF in February. Holly Yeterian and Zanziboy at WEF. Photo Chicago Equestrian. To learn more about Schaefer’s training program or to schedule a visit at their farm, visit their website at www.bellisshowjumping.com or call Steve Schaefer at 847-612-3257. You can also find them showing at the new HITS Balmoral Park in Crete, Illinois, June 7- 25th and follow them on Facebook.